Back in the middle school I had a workbook where one of the pages was there to list some of your favorite things. 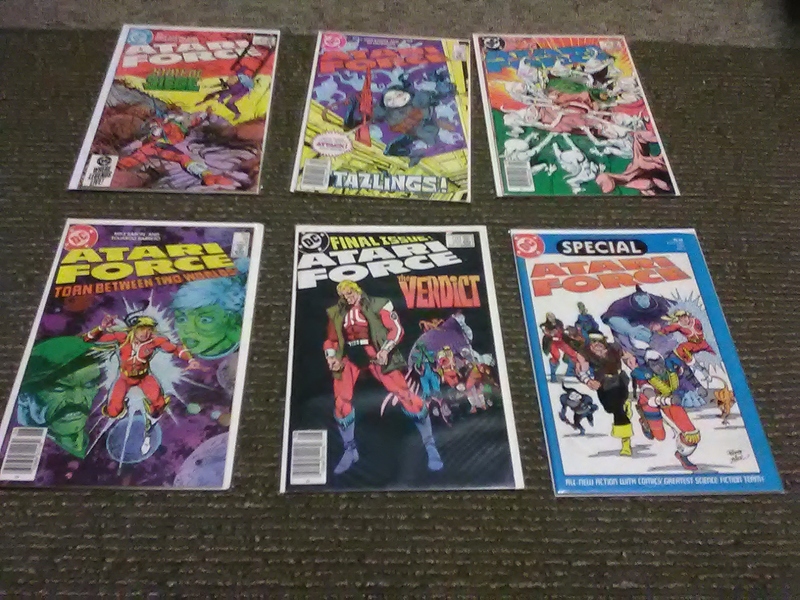 I listed my three favorite comics at the time, G. I. Joe, Atari Force and Rocket Raccoon. A bit ahead of the curve on that last one I think. It was 1985 after all. 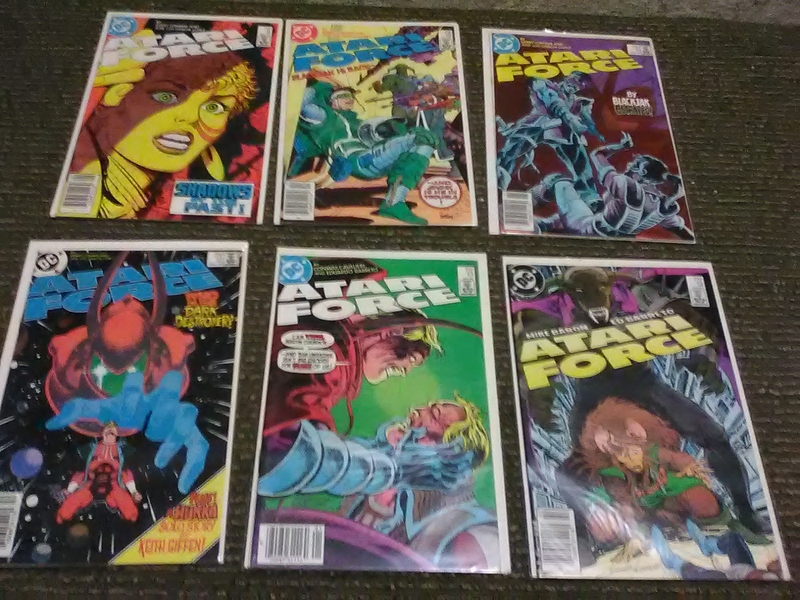 Anyway I'll be discussing all three of those titles here, starting with the Atari Force. The comics were published by DC, which like Atari at the time were owned by Warner Bros. 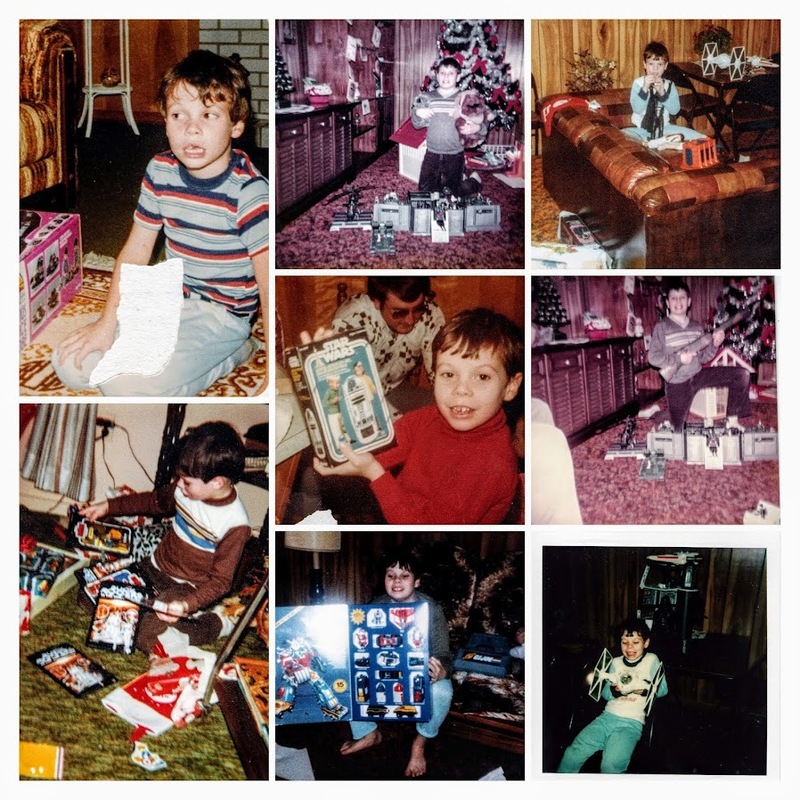 They started with the Mini Comics packed in with some of the Atari 2600 VCS games in 1982. 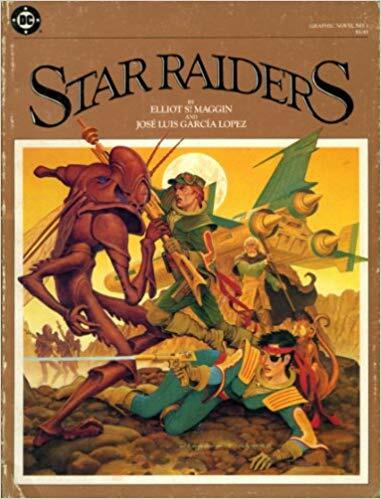 These were followed by the Star Raiders Graphic Novel in 1983. Finally they launched an ongoing series in 1985. 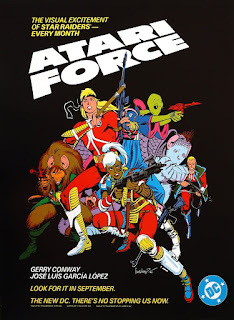 The Mini comics featured the original Atari Force team in their ship the Scanner One. These were packed in with the games: Defender, Berzerk, Star Raiders, Phoenix and Galaxian. I didn't have these originally and was unaware of them even until later. The Team, handpicked by A.T.A.R.I (Advanced Technology And Research Institute), consisted of Martin Champion, Lydia Perez, Li-San O'Rourke, Mohandas Singh and Dr. Lucas Orion. Later they were joined by Hukka an alien named for the noise he made when he spoke. The Star Raiders Graphic Novel that followed the Mini Comics I knew even less about, only learning about it in recent years. It doesn't actually feature the Atari Force as such. 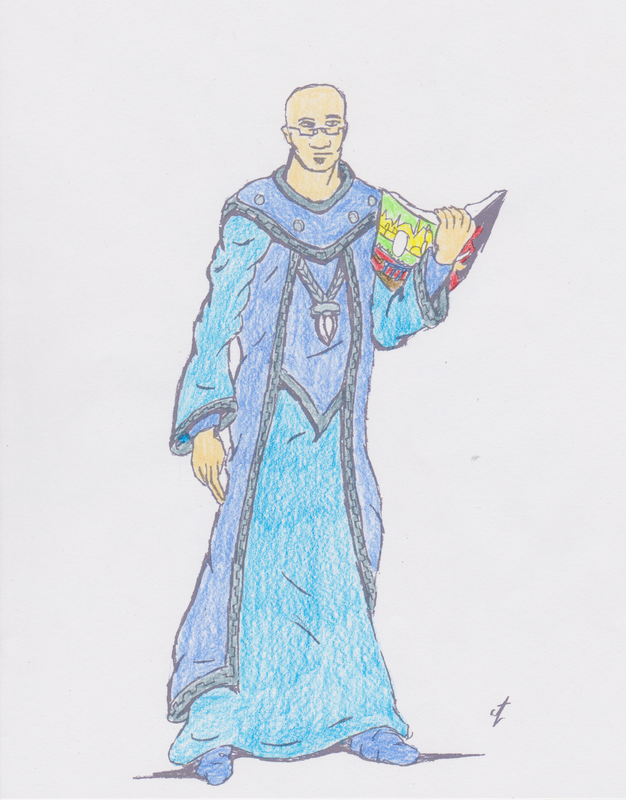 But it does include a member of Hukka's race. I have read that this was also the first ever original graphic novel. It was the first volume in DC's series of graphic novels at the time. 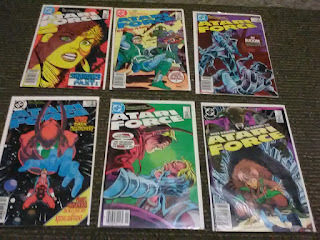 The ongoing series of Atari Force is the one I am most familiar with. I started reading it with issue #4 when it came out. I stuck with it to its end but missed out on the follow up One Shot that came out in 1986. The new Atari Force was made up of two kids of the original team. Tempest, son of Martin Champion and Lydia Perez and Dart, daughter of Mohandas Sing and Li-San O'Rourke. The rest of the team consisted of Hukka, Morphea, an empath who looked like a praying mantis, Babe, a large toddler they rescued from slavers, Pakrat, a rodent like thief, Blackjack, Dart's lover along with Taz and Kargg. They fought against a being know as the Dark Destroyer. 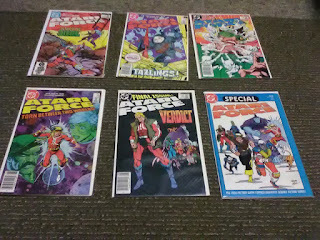 I enjoyed these comics when I was younger and are the only ones that I still have my originals of. 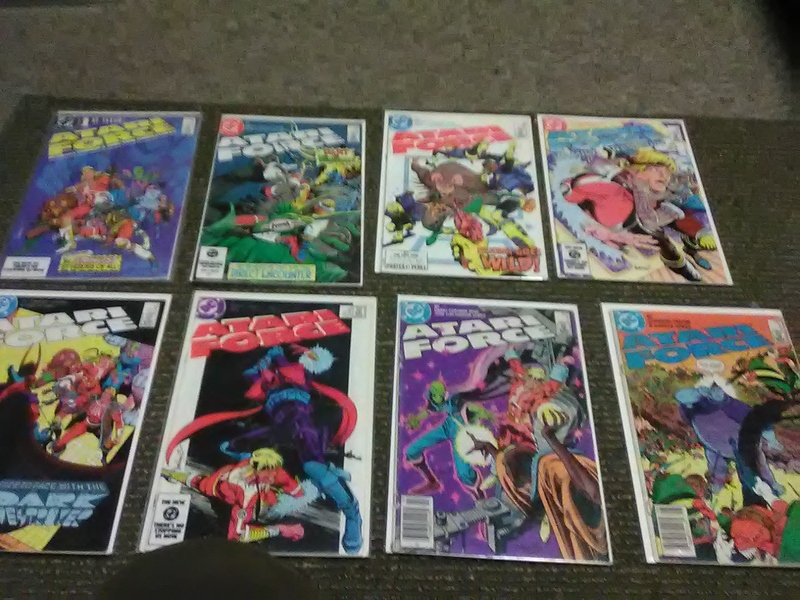 I never parted with these and have added to the collection. 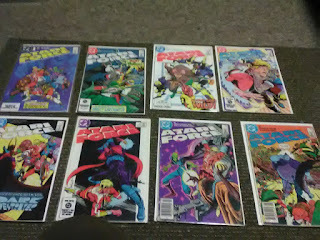 I need only two of the Mini Comics and one issue of the Ongoing Series. 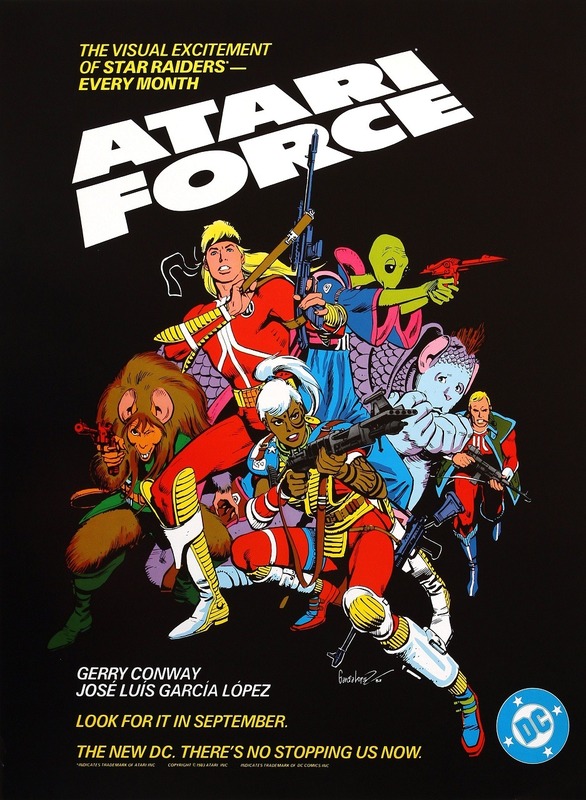 As of 2015 Dynamite Comics has the rights to the Atari properties and are reprinting the Atari Force Comics. So far they have a collection of the Mini Comics available. 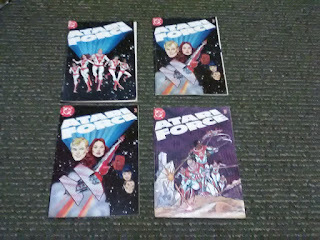 Hopefully they will soon have reprints of the Ongoing series.